You get an especially strong cowbell with XDRum. With its grey finish, it really stands out on stage.The hammered steel holds up to even the hardest drum sessions, giving these cowbells a very long lifespan. 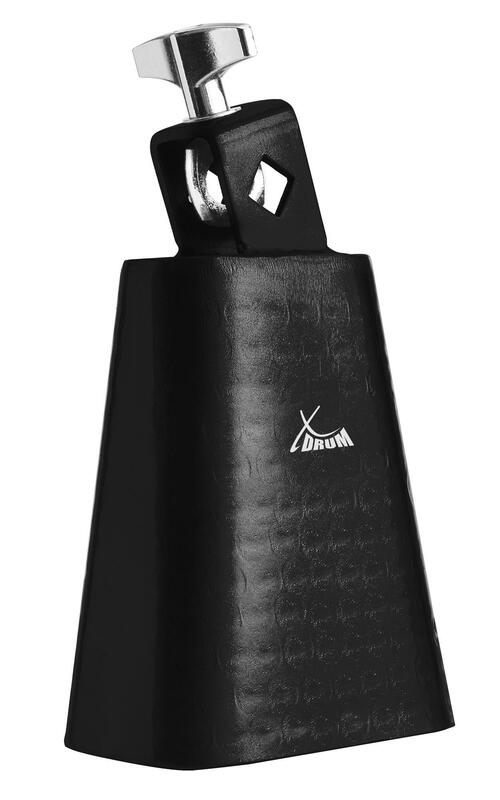 Like other well-known brands like Meinl or Pearl, these cowbells guarantee ultimate stability through an angled clamp that has an internal eye bolt that presses against the mounting arm. These cowbells have a clear, penetrating sound and excellent dynamics with a long sustain, making these a versatile companion for a variety of musical styles. This cowbell is a must-have for any percussionist. And with such an impressive price-performance ratio, it really can't be beaten!